The Four basic elements are Air, Fire, Water, Earth and Spirit serves as an additional element in the work of spiritual pursuit. The energies and components both at a scientific and esoteric level of the five elements are the fundamental ingredients contained within every structure of our Cosmos. Planets, stars, and all life forms are combinations of all the basic elements. They may have one or more of the elements in dominance, but there is always a thread of connection with those elements that are not as overt that enables the more dominant to exist. At a physical level the elements are all around us in the forms of the air we breathe, the water we drink, the food we eat and the energy that we exert to accomplish a task. When we are at our best as humans, the element of Spirit is at work. They are the components of the natural world that hold the fabric of the All together. Our bodies hold each of the five elements within our very being. Air presents through my breath and the atmosphere that surrounds me both outwardly and in the realm of the mind. Fire comes full force in the heat of the sun and the energy provided by the foods, both cooked and uncooked that I eat. Fire also moves me to action as you cannot stay too long within its grasp before you burn. Water is present through the droplets of moisture in the air and the water that I drink as well as the water I carry within my physical being. Earth is the manifestation of the foods eaten and the ground upon which we stand. It is also the physical body that we carry. And Spirit comprises all of the elements that surround us. It is through spiritual practice that I can connect with Spirit. It is through the quiet moments of listening and simply “being” that I become one with Spirit. Which come alive on action’s wings. East (Air) is the place of beginnings and the dawn, also ideas and thoughts. South (Fire) is the place of the noon-day sun and the and heat of exertion of action or will. West (Water) is the place of the setting sun, the end of the exertion of day’s effort. A time of calm and looking introspectively at the day’s events. North (Earth) is the place of midnight. The time of returning to the place of creation of our goals; the time of sleep and fertility in the form of dreamscape and subconscious perceptions. We begin with creation of the thought or idea (East/Mind) that will be the focus of the ritual. We move to the place where that focus of intent can be activated by desire and will (South/Fire). This newly infused catalytic idea comes to the place of synthesis with the balance of emotion (West/Heart) and soothing of those fires that have been charged. And, finally all is brought to the place of Earth (North/Physical Form) with hopes of creating the foundations upon which the ritual intent may be brought into manifestation. Although we identify five elements; think of the first four – air-fire-water-earth as the foundations (square) upon which Spirit is held centrally as the master synthesizer and Divine weaver of the four to create the fifth. 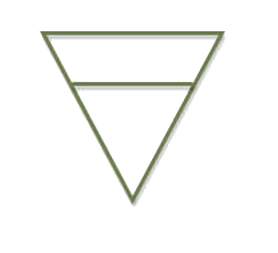 In magickal practice , each of the five elements is identified by a sigil/glyph/symbol. Each of the symbols are derived from alchemy and serve to represent the attributes of the specific element in a short hand style. Additionally, each of the glyphs carries the energy of the element contained and described by the geometric make up of the symbol. Each element also has a host of correspondences that are connected to it that help to additionally define its energies and attributes. These correspondences vary from tradition to tradition and many are informed by the specific cultural and ethnic influences from which they are derived. (ie: perceptions and affinity to Water will be vastly different for someone living in Hawaii and another in the Mohavi Dessert or the significance of Earth to our ancestors of agriculturally based societies and the city dwellers of today). Many Wiccans identify with and use a Celtic pantheon and spiritual base for their magick. An example of how the elements would relate if using the cultural mythos and influences of the Celts is below. For now we will focus on their attributes and assignments within a Wiccan path. The table below gives a snapshot of keywords for each of the elements. The list could go on and on and I’m sure that after this lesson you will have a few of your own to add. I have left Spirit out because it is the place of accumulated outpour of all the foundational elements. The elements are immutable- just as the spirit or soul of mankind – it may change form , but the basic matrix of its properties remains the same, not to be strictly thought of in literal terms, but rather as symbols of the possibilities transcending physical reality, the labels and correspondences are simply for the human mind to more easily digest, attune to and comprehend. In spiritual practice the elements are used in a variety of ways. Prominently, they are key components in ritual; serving as the quarter gateways and at times the underlying principle of focus for the intent of the ritual. Quarter calls (more in Lesson Five) invoke or call into ritual space the energies of each of the four foundational elements. Each of the quarters is opened and closed by inscribing a pentagram. 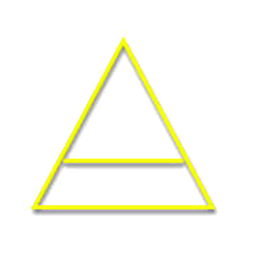 As you saw above each of the points of the pentagram is associated with a particular element. Typically, when you begin the ritual and call in the energies of the element, you will inscribe a pentagram that begins at the point of Spirit (see invoking below) and ends at Earth. This signifies a drawing into the manifest realm the energies and attributes if the Divine and Higher worlds. When ending the ritual and thanking and releasing the energies of the elements back to their realms the pentagram is drawn from the point of Earth (see banishing below) and returning back to the realm of the Divine. The Elements and their energies are used in spell work, divination and as meditation and tools of exploration can become very insightful tools for spiritual and personal development. 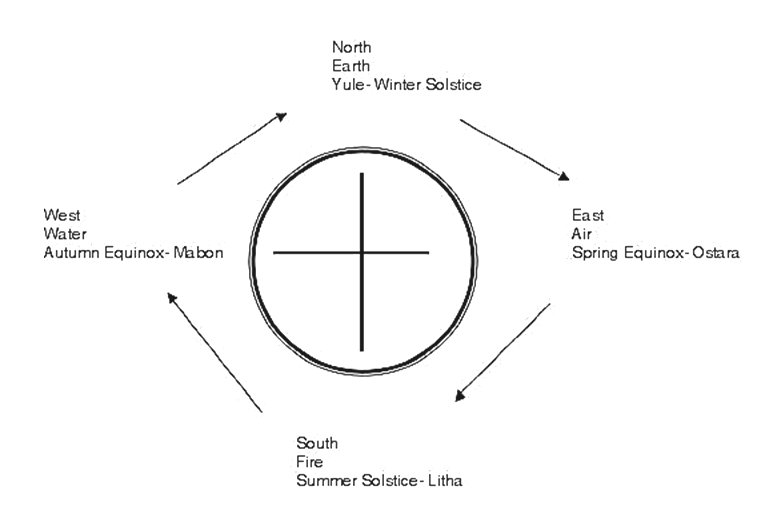 The Elements also relate to the Wiccan Wheel of the Year (more in Lesson 4). 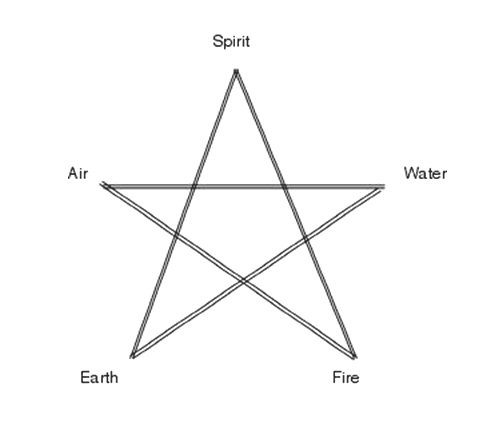 The diagram below shows how the four elements are mapped to the Wiccan Wheel. Many years ago I came across these Universal Laws as they relate to the four basic elements. It may seem odd to equate the elements as following certain “Laws” particularly in the semantics of that word and its normal connotation. But, everything must follow some sort of order and structure to be successful (albeit, sometimes that order appears to be the most disordered mess, it is still order nonetheless). This is also true of magickal workings. There are specific laws, rules (whatever word you prefer) that govern the order and structure of the Universe and its workings. These are but a few of those and I offer them now as food for thought as you move through each of these elements. 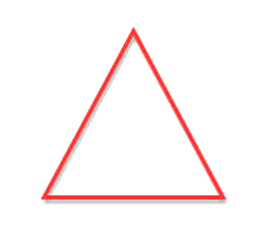 Some are overt in their relationship to a specific element and others are a bit more occult (hidden) in their meanings. Magickaly, we are continually making use of these states of awareness and fine tuning each to fit the needs of what outcome is desired. The psychic and expanded state of Theta gives more clarity and definition to what is being brought forward in awareness. The subconscious level adds additional dimensions of understanding and perception to what has bubbled to the surface. And, when it is finally brought to the level of conscious awareness, the thought, idea or inspiration can be further worked upon to bring into reality or discarded as the stuff of day dreams. This aspect works as the filtering process for those ideas, and visions, that move through the varying states of consciousness as above. If we do not provide test, checks and balances for what the breezes of air bring to us, all manner of unwanted things would constantly be bandied about our being. In magickal working it is this process that gives credibility and viability before the energy of mind can be brought to a place of fruition. When we speak of polarities, there are many different examples that could be given; male and female, light and dark, negative and positive to name a few. When we do magickal workings we draw upon the nature of polarities to bring a state of action to that working. If there were no darkness we would not know how to define the light. If there were no negative action, the desire towards the positive would be non-existent. The element of fire is aptly described by this Law as one of its primary functions is to stir up, to excite, and thus to transform and potentially transmute that which was being worked upon. When we call the energies of Fire into our workings, we are automatically putting in place the potential for action to occur. We are forcing ourselves to move beyond a place of inertia and undefined focus of intent to catalytic change that will be either the positive or negative charge that is needed for desired outcome. This is the natural by-product of working within the realms of polarized action. For every action, there is a reaction. Thus, for every cause there is an effect. The measure of that effect is usually in keeping with the amount of will exerted, although the comprehensive out-picturing of that statement is not always apparent. This is typified in the caution to “be careful what you wish for”. Think in terms of the natural ebb and flow of the waters of the oceans, or the fishing line that is cast out and as result of the rhythmic process of moving forward and then rebounding back is carried on the waves. The element of water (emotions) is very much like this principle. What we send out emotionally and intuitively always bounces back towards us, something sonar like with the directional apparatus of bats. They are blind and in the dark, yet they find their way; largely through intuiting it by using a scientific and physiologic adaptation. In magickal workings the intent is very important, and as we have discussed intent must be fueled by the Fires of Will to be viable. But the true tempering of the metal occurs in the process of placing the heated metal in water. This is the place of rebound, where what was heated and contracted can expand and cool to fill the space between. If this cooling did not have the dynamics of the heat to rebound from and reestablish its form it would eventually melt and dissipate. And, finally through the efforts of resistance causing return (rebound) and the correct interface of communication (Equalities) having been achieved, the work can be held within a state of balance. Not a balance that indicates all sides having equal share, but the balance that occurs when despite their being a greater amount towards one end of the equation, all works in harmony because there is precisely the right combination of differing ingredients to produce a successful outcome. In this form of balance it is the quality of the contributing energies vs. the quantity that are of the utmost importance. And, in magickal pursuits, achieving that perfect state of quality is the key to unlocking the Limitless Divine. The physical earth offers food, shelter and abundance in the form of home and all that is needed for the survival of its life. We can similarly apply this to spiritual matters. We, as divine beings, are provided with and have access to all that we need. The only requirement is that we make connection to those places of abundance and fertility within ourselves. In response to this abundance we are also capable of attracting more into our lives. We have the power to call forth that which we desire and will to be. Although many would not view it from this perspective; particularly when what we are attracting appears to be negative; but it is our own thoughts and feelings about what we actually do need vs. what we “want” that sets into motion the return. This is why in any magickal working, the first rule is to be very careful about what it is you are asking for or wishing to bring into your realm of earth and manifest realm. The Elementals are the beings that comprise the pure essence of the element they inhabit. They could be considered the etheric manifestation of that element’s energy and as such are not easily directed in what human will requires of them (more in Lesson 11). When we work with the Elementals of a particular element we are calling forth the guiding forces that direct that energy. As such, Elementals can be difficult to work with and should be approached through working with only the utmost of care and respect. 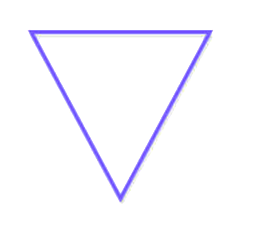 This entry was posted in YAD-Lesson Two, Year and A Day Course and tagged Air, Earth, Fire, Foundations of Practice, Laws of the Elements, Natural World, Spirit, The Elements, The Five Elements, Water, Wicca Caourse-Lesson Two, YAD-Lesson Two. Bookmark the permalink.